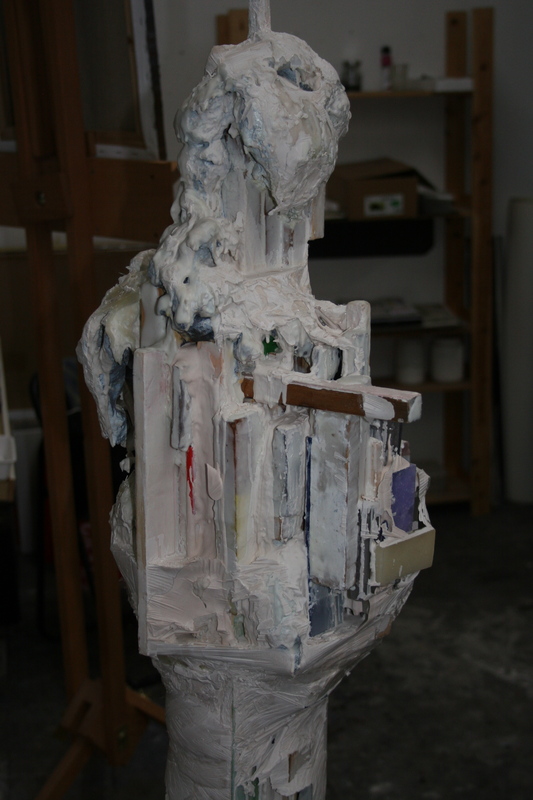 Walking into Daryl Brown’s new studio was like following the walls of a labyrinth until finally stepping into a room alive with organic structures that watched over the artist like protective sentinels. Daryl Brown from his series, "My Mother Holding My Now Dead Cat"room alive with organic structures that watched over the artist like protective sentinels. It had been over a year since I’d first visited Brown in his studio back in Hackney. On that day in August, he seemed gentle and unassuming. Yet in his new studio in Stratford, Brown appeared to have taken on a new confidence. His movements were relaxed as he circled his works talking about the process of their creation. 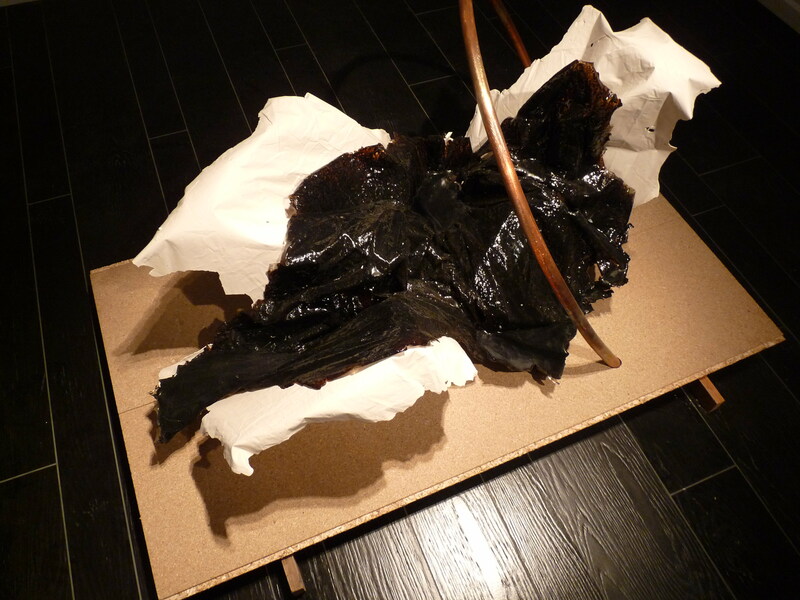 Brown’s sculptures are part of a theme that has been a reoccurring vision of the artist. 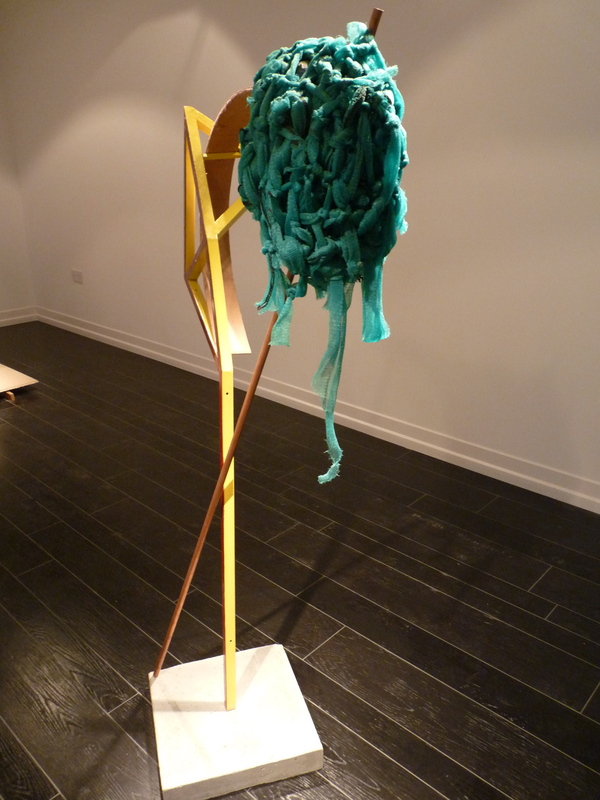 The first sculpture of the series ‘My Mother and My Now Dead Cat’ was shown in The Magnificent Basement by ALISN, an organisation known for it’s inclusive support of artists in London. 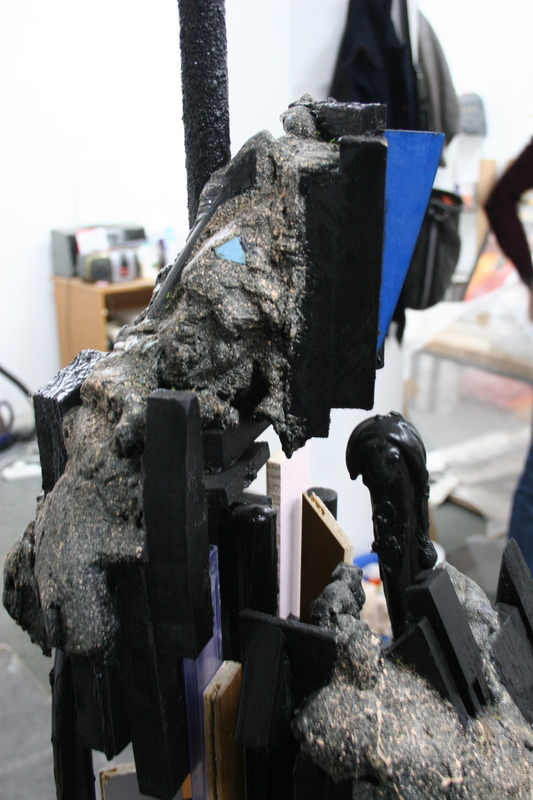 Using a variety of materials, Brown has stayed true to his vision never wavering from the original theme, yet evolving this vision into the sentinels that stand in his studio today. Upon looking at the sculptures, does the image of Brown’s mother holding his cat become apparent? Each observer must decide that for themselves. Daryl Brown from his series, "My Mother Holding My Now Dead Cat"
Whether or not the irony in Brown’s work is a conscious act on his part is something else the observer can determine. For example, one can hardly think of the theme of the sculptures without noticing an element of both tragedy and comedy. Brown himself describes his work as “gritty and urban”, yet the theme suggests something sentimental and sweet. Together, the sculptures stand as ‘a gang’ and yet the artist who created them is soft spoken and non-threatening. “I wanted to show a loving embrace and then destroy that,” says Brown. Brown’s method is as abstract as the sculptures themselves. He seems to add components using a variety of materials. 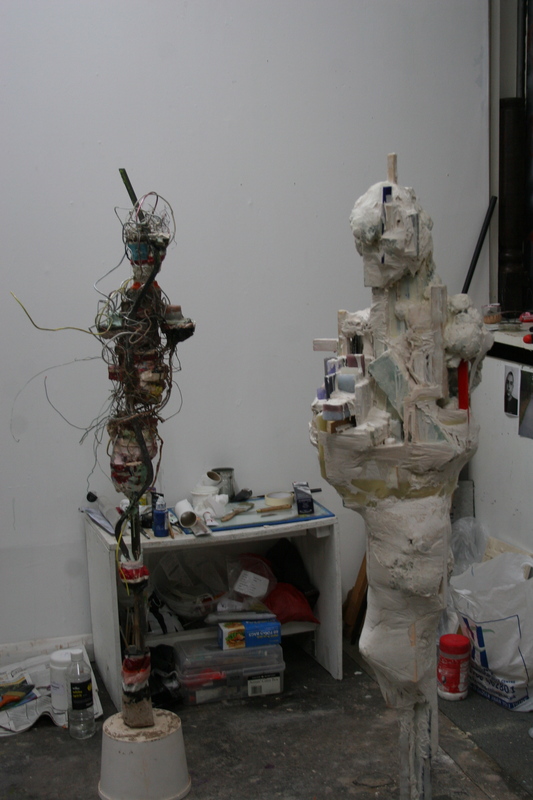 Each sculpture can standalone because each is uniquely formed. Others are softer and white, like amorphous bodies. And still there is a darker figure and even a colourful body that appears to have human organs, which supports the idea of life. Yet, one cannot escape the fact that these are sculptures, no more alive than the materials that form them, the now proverbial ‘dead cat’. This it what makes Brown such an interesting artist, the opposing views that are conveyed in his work. Like his previous Judo series, the artist is interested in the human form, but also in the progression of his work. Brown’s work has caught the attention of several art organisations, including the London Art Fair 2012, which will take place from 18-22 January next year. 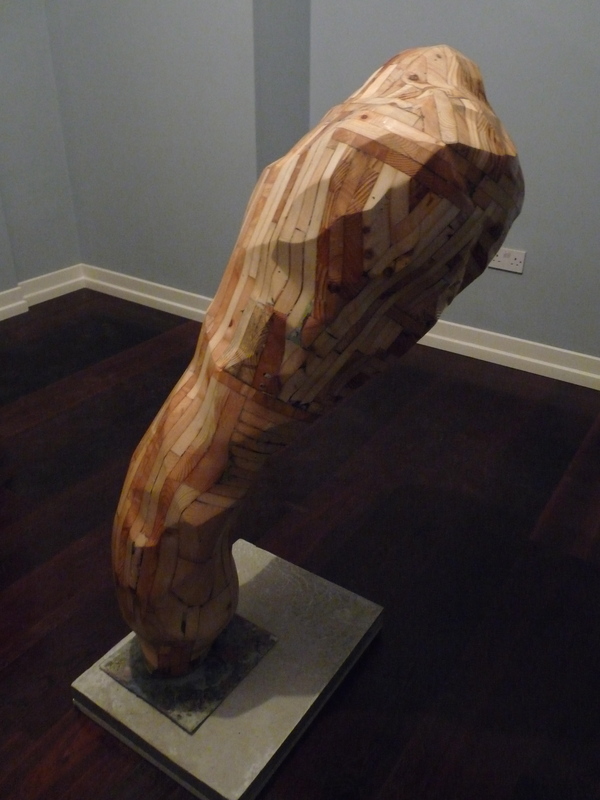 The artist’s work will also be exhibited at the Residence Gallery in Hackney from 2 February 2012.